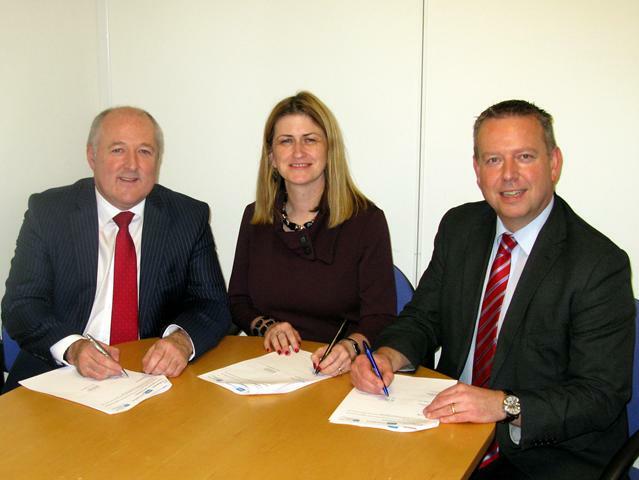 Recognising the shared vision of improving healthcare and strengthening the economy, Health and Social Care (HSC) Innovations, HSC Research & Development (R&D) Division and BioBusiness Limited (BioBusiness) have recently signed a Memorandum of Understanding. This will facilitate collaborative working and knowledge exchange and commercialisation activity between academia, industry, and HSC bodies (clinicians and researchers). The parties express their commitment to continue to develop and deliver a mutually inclusive and supporting partnership between the Life and Health Technologies Industry and the Health and Social Care research and delivery organisations within Northern Ireland. The vision for this partnership is framed within the aspiration for an innovative globally competitive economy where its population has access to best quality care utilising the latest technologies and support tools. The essence of this partnership is to recognise and value the contribution from businesses, clinicians and researchers and support the technology and knowledge exchnage between collaborating organisations.